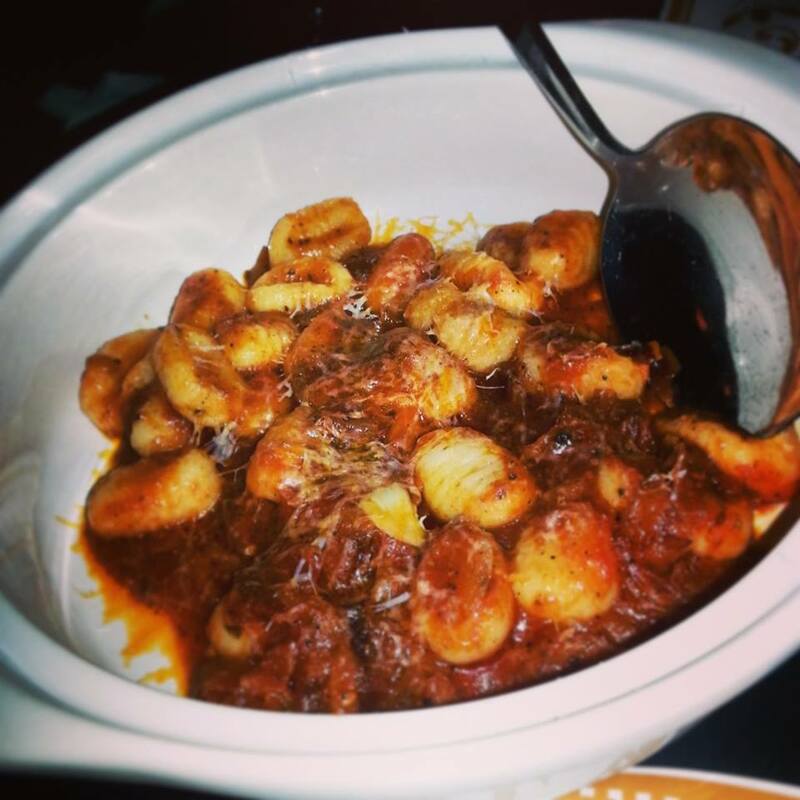 New Haven, CT has become one of the greatest spots in CT for quality food from a great variety of cultures. But when talking about New Haven food, the Nation knows it for one thing… Pizza… or since I am in CT I should say Appiza. When bringing a new pizza restaurant to town, it is important to bring something unique, something different, something fresh. That is exactly what Tarry Lodge delivers. One of the restaurants from the great minds and talents of Mario Batali and Joe Bastianich (for those who do not know, I have a “history” with Joe Bastianich) , alongside Andy Nusser and Nancy Selzer, the team has done it again. First thing done right, get the right Chef. They have done this with a friend of mine, whom I met while he was the Sous Chef at Tarry Lodge in Westport, Executive Chef Andrew Marsilio. 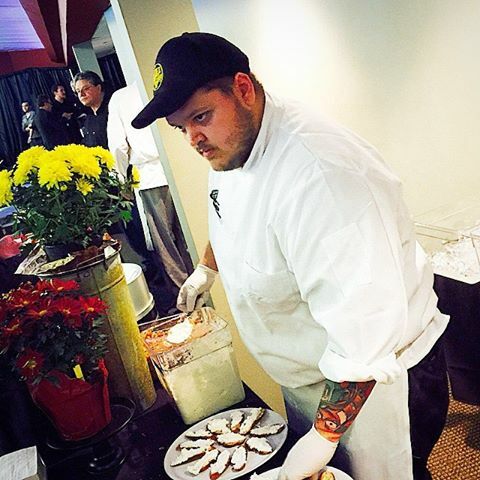 Chef Drew has combined his training and experience to carry out an amazing menu with the skills of a master. Speaking of the menu, they got that right too. This classic Italian menu celebrates the tradition of taking fresh, quality ingredients, keeping it simple, plating them beautifully, and cooking them perfectly. Along with the plating presentation, add a great ambiance (albeit a tight fit when the restaurant is packed), and a quality wine list (which it better be with Bastianich on the team) and my friends, you have yourself a restaurant that will strive in the bustle and hodge podge that is New Haven, CT.
As I said, when doing pizza in New Haven, it not only has to be great pizza, it has to be unique. 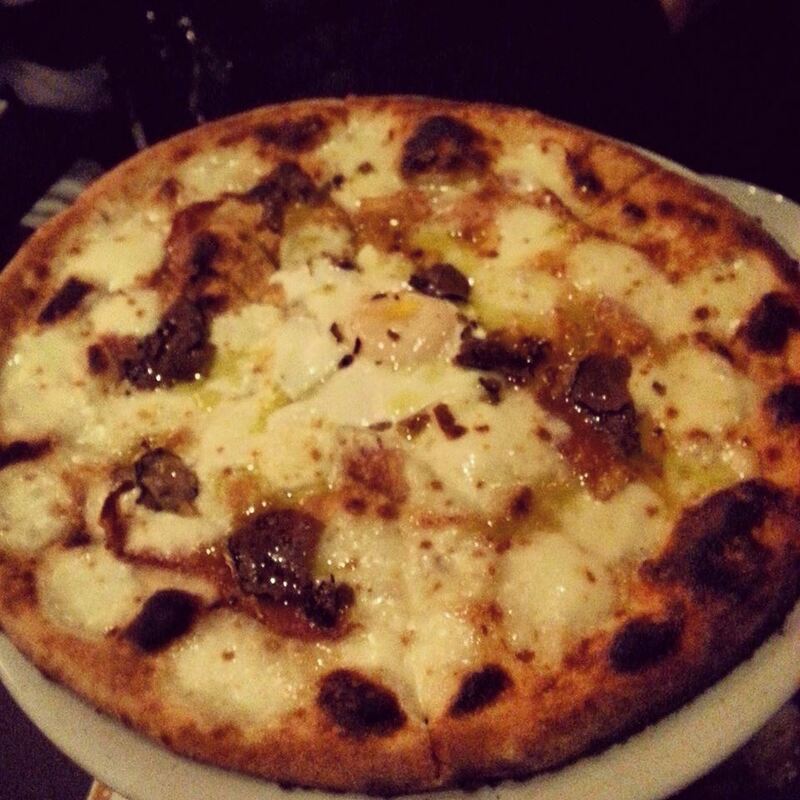 Pizza does not get more unique than this house specialty Guanciale pizza. Guanciale is an Italian cured bacon made from pork cheek. Similar to a pancetta, but with a much stronger flavor, it only makes sense to pair it with the bold, earthy tones of black truffles. Many people in the food world talk about the different flavor palates, one of which that escapes most people is Umami. 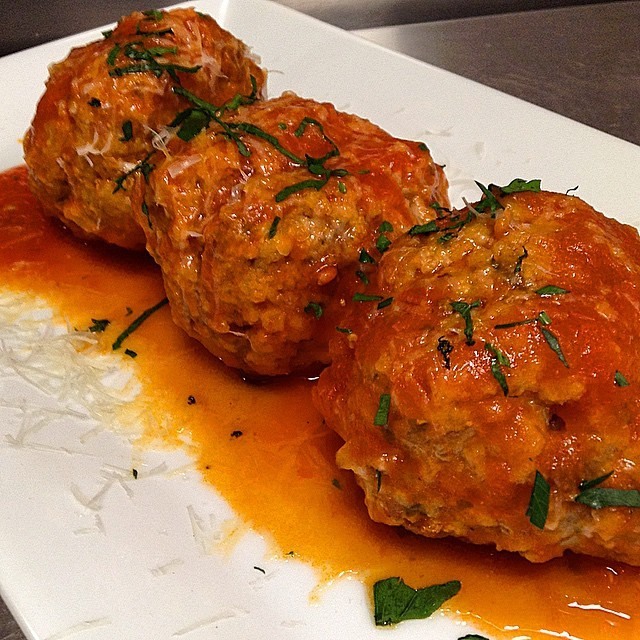 The savory, earthy goodness from truffles is my perfect example of Umami. Add in the salty guanciale, melted cheese, a lightly seasoned, crispy crust, and the rich egg yolk and you have a truly decadent, flavorful pizza. Every ingredient working with the other ingredients in harmony to create a depth of flavor that enhances with each bite. I want to try the other pizzas here too, but am hard pressed not to order this every time I go. 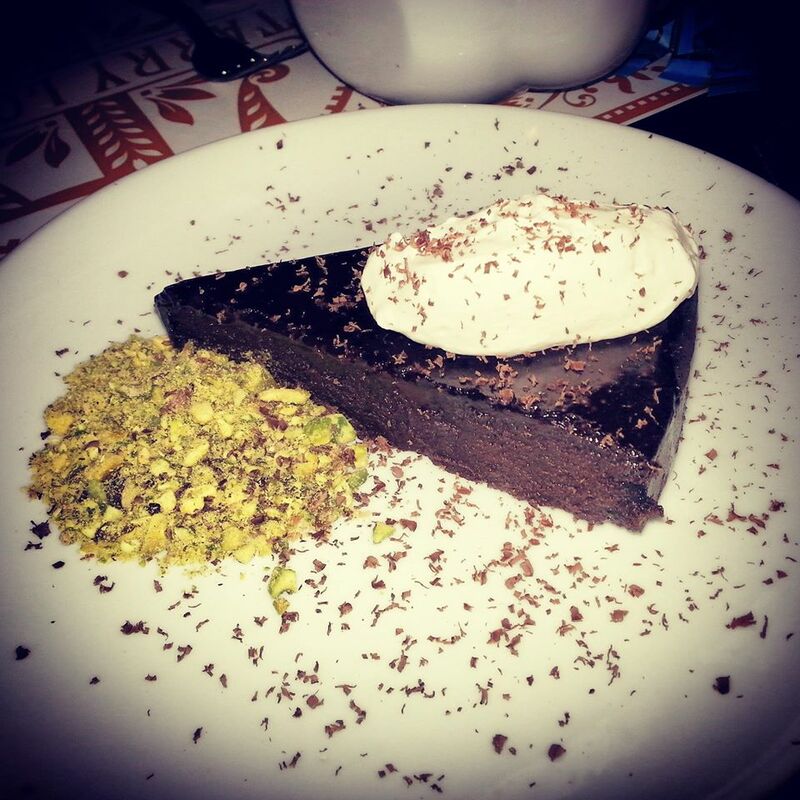 Fresh cream on top, pistachio crumble, and rich chocolate cake, with no flour (that means it is healthy, right?… cause we ate the whole thing). Creamy, velvety, goodness. Definitely enough for both of us to finish off the meal…OH WAIT! Chef sent out another dessert…. TIRAMISU! Now I am extremely cautious in ordering tiramisu. Most places either soak the lady fingers in too much espresso and that is all you can taste, or cover it in so much cream that it is almost not a cake…. or both!. I think as you can see above, Tarry Lodge does neither. 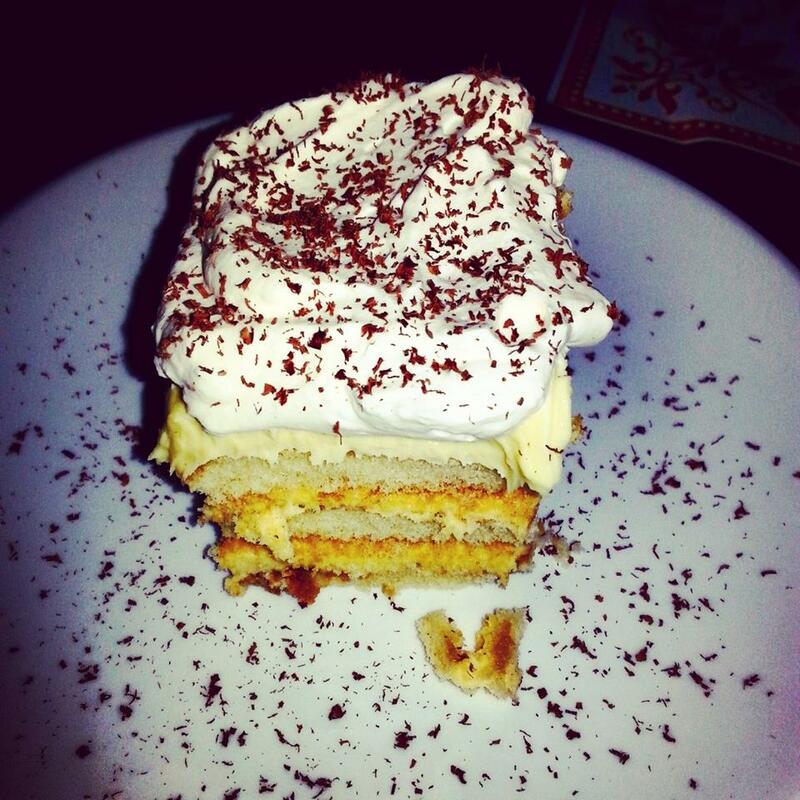 They serve up a classic, traditional, simple tiramisu and the 3rd best tiramisu I have ever had. The first was made homemade for me in Italy when I toured through the Country with my choir when I was 16. The second was at a celebrity chef dinner in Chicago this past October (though that one was admittedly far from traditional, with a butter toffee crunch on the bottom), and then comes Tarry Lodge. Traditional with a capital “T” there is just a hint of espresso, a perfectly sweet mascarpone, moist ladyfingers throughout and topped with fresh cream. I couldn’t ask for more… even though I wanted to. In fact we were so full, and our neighbors at the next table, a very nice couple with whom we had a great conversation throughout the dinner, was staring so intently at it when the brought it to our table, we even offered them a bite, which they enjoyed thoroughly with us. Thank you so much to Chef Drew, general manager Steve Bayusik, the amazingly attentive waitstaff, the kitchen crew, and everybody else at Tarry Lodge for a meal not soon to be forgot. In fact, I will be back tomorrow night for dinner with some friends before a show to share the experience. As for you Joe Bastianich, consider the hatchet buried… I forgive you for rightfully kicking me off MasterChef for a terribly plated dish. My skills have improved greatly, maybe I will see you again, but all I really have to say is thank you. Thank you for helping to ignite a true passion food in me, thank you for continuing to help create fantastic restaurants for me frequent, and thank you for dinner… wait, I thought they said the next one was on you… oh well, I’ll still be back there tomorrow. 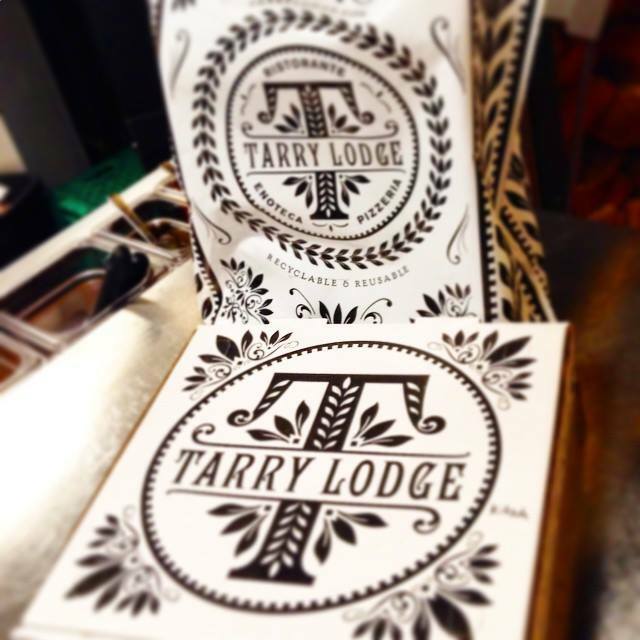 Go enjoy a night at Tarry Lodge with Chef Drew and the crew. If you see me there, don’t hesitate to say hi, but don’t be offended if you find me in a food coma at the end of the meal. Till next time, this is Jason “MaurPowerFoodie” Maur signing out.